CarPlay is available via a free iOS 7 update for the iPhone 5s, iPhone 5c and iPhone 5 and works with compatible Ferrari, Mercedes-Benz and Volvo vehicles. Can you say luxury lockout? 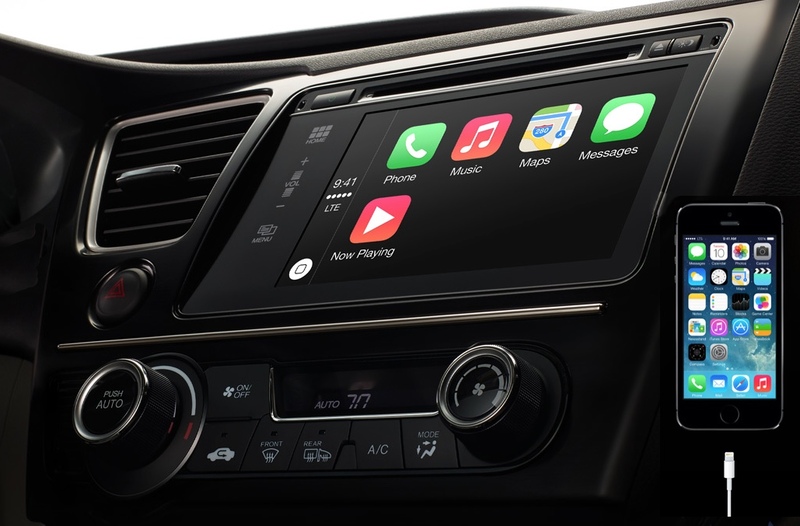 Worry not because BMW Group, Ford, General Motors, Honda, Hyundai Motor Company, Jaguar Land Rover, Kia Motors, Mitsubishi Motors, Nissan Motor Company, PSA Peugeot Citroën, Subaru, Suzuki and Toyota are all promising CarPlay compatible cars this year. • With CarPlay integration, Siri helps you easily access your contacts, make calls, return missed calls or listen to voicemails. — Simply ask Siri for turn-by-turn directions, along with Maps, which will appear on your car’s built-in display. Again, Apple and Ferrari, Mercedes-Benz and Volvo have demonstrated CarPlay at the Geneva International Auto Show. Cars from those, as well as 14 other top automakers will come to market throughout 2014.